Discover an oasis of luxury alongside Exclusive Complimentary Perks when booking your travel at W Retreat Bali Seminyak across WhataHotel! This pristine resort is unlike any other on the island of Bali and is sure to tempt guests for a return visit. 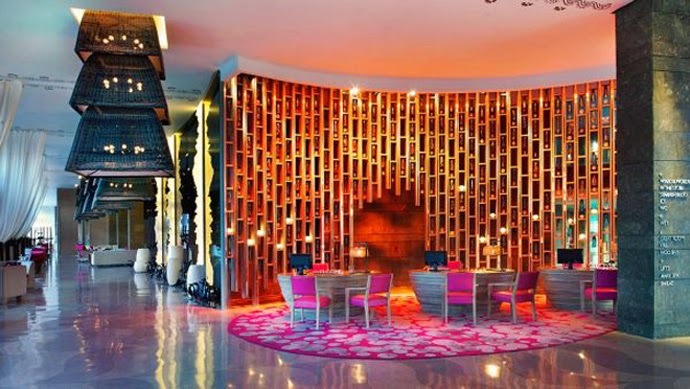 If you are dying to visit Bali, but insist on the luxury and extraordinary style offered up by the W Hotel chain, this resort is sure to captivate. 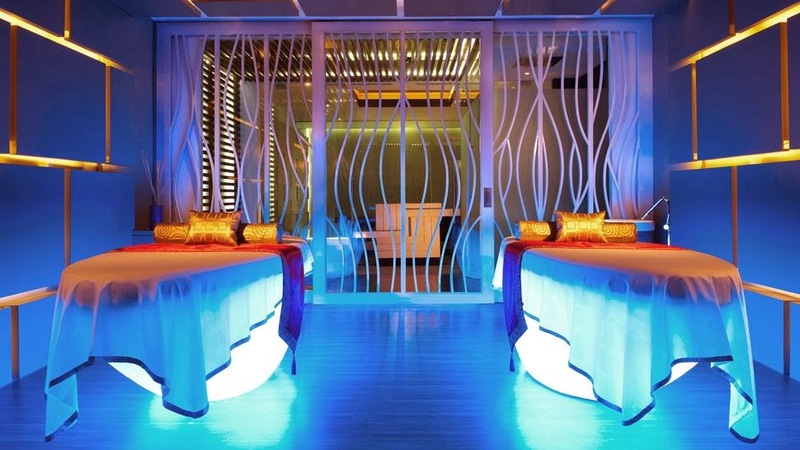 Get ready for an assault on your senses at this breathtaking and award-winning retreat. This 5-story, 237 room hotel was built around a lagoon style pool on what just might be the best stretch of beach in Seminyak. 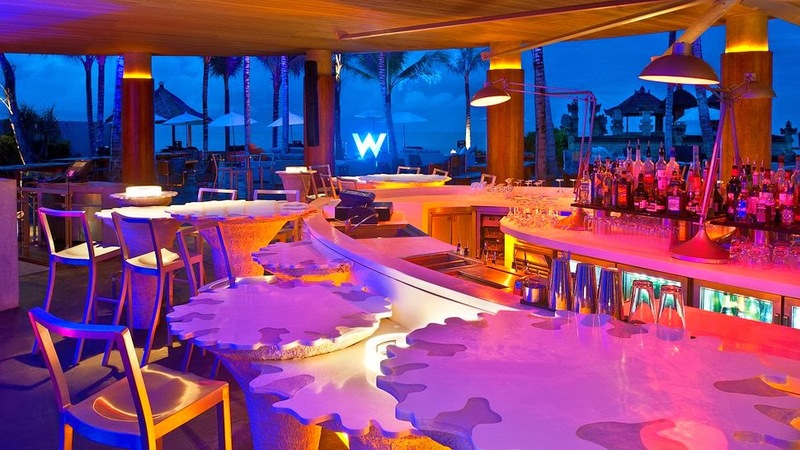 Featuring a more futuristic feel than many of the other resorts in Bali, this gorgeous locale presents the W Hotel look and experience that any sophisticated traveler has come to expect. Emphasizing natural wood and gray volcanic stone, the entire resort is a conglomeration of style, comfort and local charm. Step foot inside the spacious lobby to catch a glimpse of the handblown glass wall as well as sweeping views of the sea and rugged nearby terrain. The rooms and suites are all decked out in modern conveniences and lux bedding, not to mention the walk-in showers big enough for two. Choose from the intimate garden view retreat or go big with a stay in the three bedroom pool villa retreat. 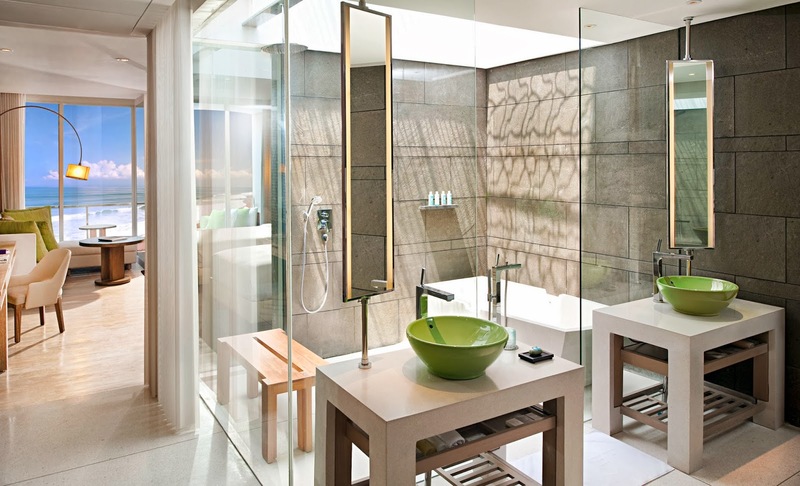 Relax and succumb to all of the pleasure and amenities the rooms at the W Retreat Bali Seminyak have to offer. Outside of your glorious retreat you can enjoy a plethora of amazing activities found on the resort property. For the health conscience guest, trainers are on staff at the well-equipped fitness center and free yoga classes are held in the garden located right off the gym. Pack your sunscreen in your chic beach bag and hit the beach for a day in the sun, or sit next to the resort pool, lovingly called WET, and revel in the chilled towels, frozen cocktails and pampering service of the hotel staff while overlooking the gorgeous seas that are located just beyond the stylish pool. If relaxation and rejuvenation are required during your time in Bali, book a treatment at the AWAY spa where natural healing therapies assist in restoring your senses. Of course, if seclusion and a quiet calm are needed during your stay, W Oasis is the perfect place to visit. This tropical garden has two reflective pools and is the perfect place to unwind. 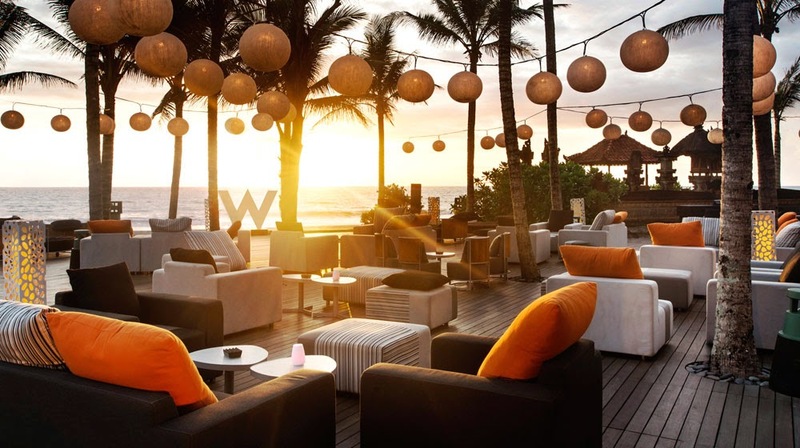 W Retreat Bali Seminyak also does a stellar job of indulging guests with an impressive selection of restaurant and lounge options. Food here will prove to be mouth-watering and the drinks to be refreshing. Whether you are looking for a lunch outside in the sun, a pulse-pounding evening out or an intimate dinner for two, this resort has it all and much, much more. If you desire an exotic and unforgettable vacation destination, look no further than the opulent W Retreat Bali Seminyak. When booking your stay at W Retreat Bali Seminyak across WhataHotel!, guests can enjoy Exclusive Complimentary Perks that are remarkable. 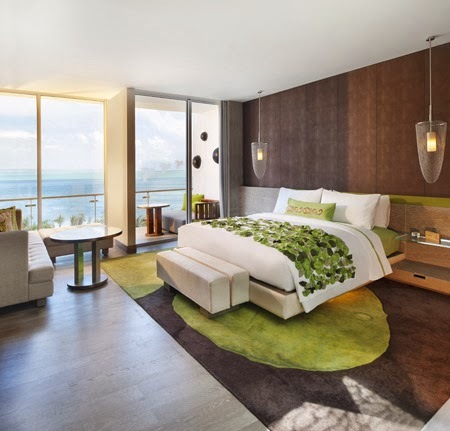 These perks include a daily breakfast for 2, available room upgrades at time of check-in, a welcome amenity and options for early check-in and late check-out. These added perks ensure that every guest will feel like a VIP in this stunning resort, on this exciting tropical island. 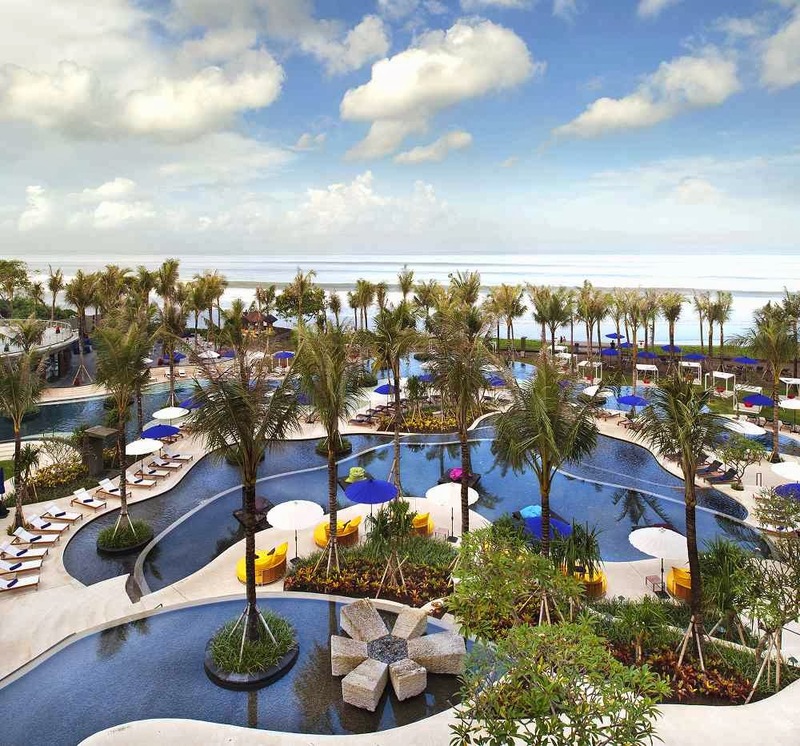 Bali is known to be a destination filled with fabulous natural beauty and the W Retreat Bali Seminyak has created a resort and spa that blends beautifully with the landscape in a vibrant and mesmerizing way.